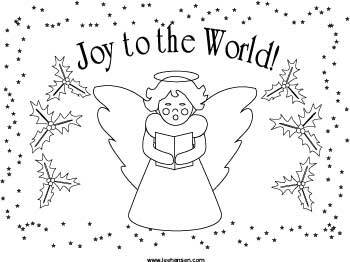 Christmas angel coloring page printable ready to color and use as a place mat, greeting card or holiday poster. You might like our printable Christmas mini flags in red, white and green. Add kids names or your own words to label cupcakes, sandwich plates, tables or classroom areas.